Don't add fish into your tank without proper acclimation. Don't buy fish which have only just arrived in store. Don’t keep the tank lights running in a 24/7 basis. Never add the fish bag water to your tank. Do carry our regular, small, part water changes. Do purchase your fish from a reputable supplier. Do satisfy yourself that any fish you buy are feeding before you buy them. Do seek advice from your supplier & act on the advice given. Do ask about the fish behavior before buying it. 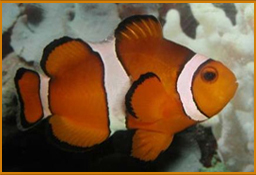 Finding Nemo is a great film, and it has certainly inspired many people to consider buying a tank or bowl to keep a "Nemo" either for themselves, or more likely their children. If you are one of those people, this page is for you! Before you go any further there are some important things you need to know. 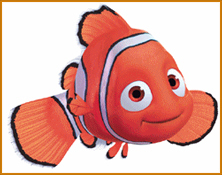 Nemo & his friends are marine fish, this means they live in salty seawater. Marine fish require more sophisticated equipment Than is required for keeping either goldfish or tropical freshwater fish. A "Nemo" will not live in a so called "goldfish bowl", frankly we do not consider a small unfiltered bowl a suitable container even for a goldfish, they are certainly not suitable for marines. Fish keeping is a rewarding and educational hobby, it can provide a great deal of pleasure for a relatively small expenditure of time & money. Keeping marines does however require more outlay and more dedication than other branches of the hobby. Fish are animals, PLEASE THINK CAREFULLY BEFORE YOU BUY THEM. If you are sure that you want to make a start in this wonderful hobby, then you'll find plenty of advice on this website, and even more when you visit our store.